...Against the throbbing backdrop of this shimmering and decadent city- almost a character in itself-Maxine Swann has created a stunning narrative of reawakened sensuality and compulsive desire that simultaneously explores with remarkable acuity themes of foreignness, displacement, and the trembling metamorphoses that arise from such states. 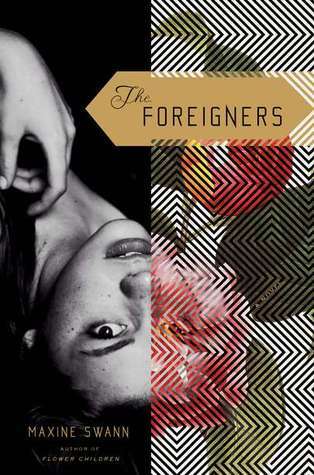 From the award-winning, critically celebrated author of Flower Children, The Foreigners is a startlingly bold and original, unforgettable next novel. There's something brilliantly unnerving about The Foreigners, Maxine Swann's newest novel, due out this Thursday from Riverhead Books. She poses the analogy of foreign persons as invasive plant species: invasive, disrupting, lost. The story focuses on one foreigner, the narrator (Daisy), and on the women she finds herself surrounded (Leonarda and Isolde). In a kind of cyclical adaptive process, the women who appear so different seem to morph into one another, taking over their surroundings, adapting to the environment. Swann has done beautiful justice to the place she has called home for the last ten years. With her words, Buenos Aires comes alive - you can see it, smell it. For me, the language of scent was particularly vivid. And while this story was written about these women, the city is kind of like a wise old woman sitting mutely in the corner who knows that the story is really all about her. She is, after all, the only character who doesn't seem to fall completely flat at any point in time. Unfortunately, the other women do fall flat, one by one. As the scenery seems to get more lucid, the women take a back seat and become almost like shadows of the women they later resemble. This is especially true of the wild and charismatic Leonarda, one of the only real Argentinian natives in the story. It seems to me that there's a misplayed chord somewhere about two-thirds of the way through the novel that seems to make the characters less interesting. It's hard to say if it's because their stories seem rushed to an end, or it could be the strange presence of the man who plays Leonarda's "prey." Whatever it is, the story that begins so fresh and interesting has a fairly unimpressive ending.